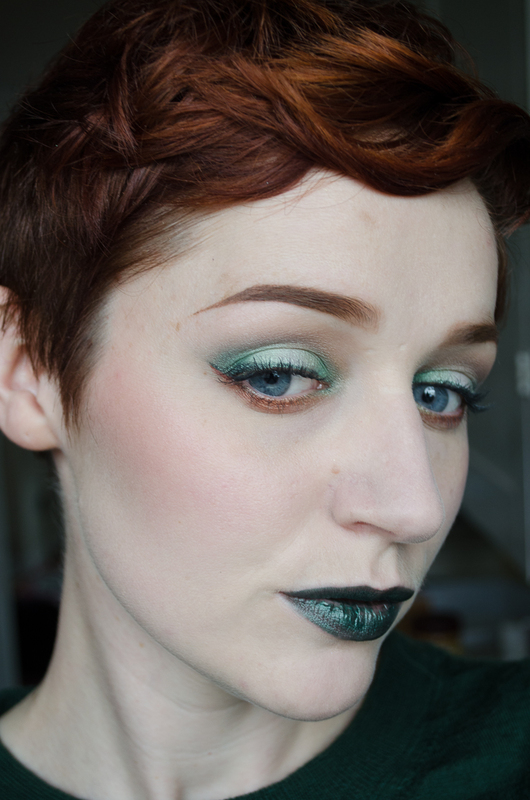 “You should do a Poison Ivy look today!” my husband said to me recently. WELL DON’T MIND IF I DO. This is a very loosely inspired look, but I had a bit of fun with it and loved finally playing around with Fyrinnae Triceratops. Its been sitting in my lipstick drawer for a bit, and it’s just too pretty to not do anything with.